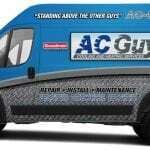 If you need air conditioning repair in Marion County, give us a call at AC Guys Cooling & Heating Services. Air Conditioning Repair in Marion County – When you turn on the TV, you can watch a variety of DIY home repair shows that make it look like it’s easy to tackle just about any project at your own home. While there are certainly some DIY repairs that are doable, even by novices, some should always be left to a professional. Air conditioning repair falls under the “professional” category, since your home’s cooling system ensures a comfortable temperature throughout the warmest months of the year. In Marion County, Florida, the weather is warm throughout all four seasons, so if you need air conditioning repair, give us a call at AC Guys Cooling & Heating Services. When it comes to having your air conditioner repaired, you may find that the issues start outside of normal business hours. Some homeowners worry about calling for a repair on a weekend or during the evening, since the cost might increase dramatically. 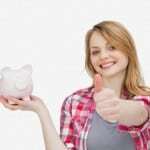 But at AC Guys Cooling & Heating Services, you’ll never have to pay more for weekend or evening service. We are available 24 hours a day, 7 days a week, so you don’t have to suffer in discomfort in your own home without cool air. 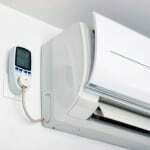 Each of our air conditioning repair specialists has the knowledge and experience to perform repairs properly. 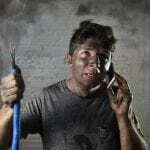 We will diagnose problems and offer solutions before we start with the repair. 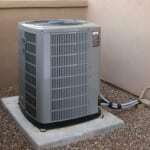 In the case that your air conditioner isn’t repairable, we can also provide options for replacement. If you’re experiencing any type of issue with your cooling system, give us a call, no matter what time of day it may happen.